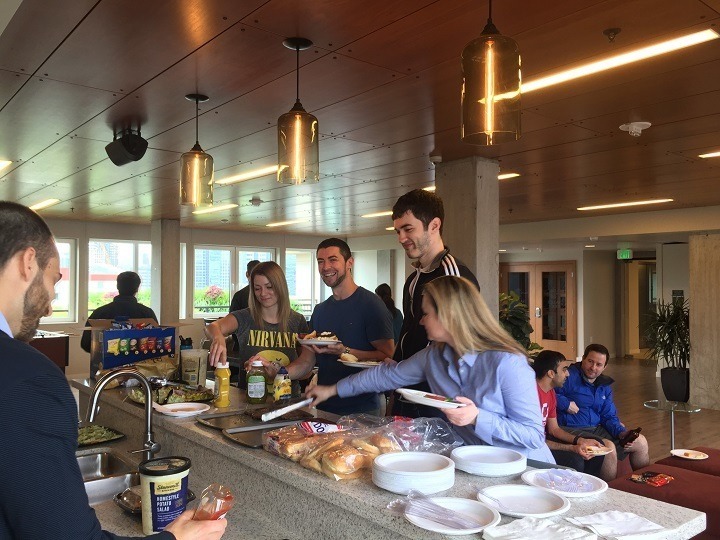 We were optimistic about the sunny spring we've been enjoying lately and decided to celebrate with a spring BBQ for our residents. Of course in true Seattle form our BBQ landed on the first day of the end of the sun streak. But hey we're Seattleites and we grill rain or shine so that's exactly what we did! Inside we stocked the fridge with refreshments, put out a full spread of BBQ fixings and lined the bar with endless condiments…we're talking potato salad, chips, cookies, the works! 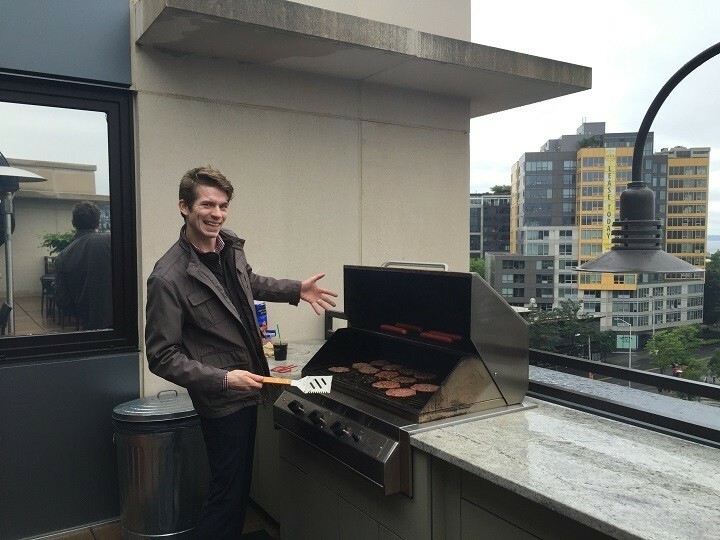 All while Leasing Specialist Chad braved the elements to grill up fresh hamburgers and hotdogs. It turned out to be the perfect way to put a little spring in a gray Seattle day!